The extra information now displayed alongside certain server connect steps is very useful, as is the ability to duplicate steps in server connect. Hopefully it will be possible to duplicate server connect files one day (or at least have a right-click option to open them in File Explorer/Finder). Hopefully it will be possible to duplicate server connect files one day (or at least have a right-click option to open them in File Explorer/Finder). 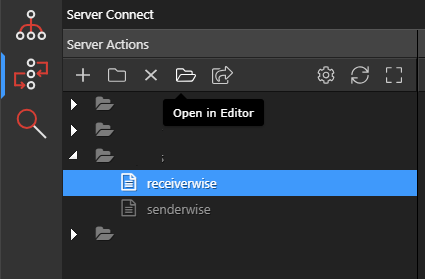 For now, you can just open the server connect action file using “Open in Editor”, Ctrl+A, Ctrl+C, add new action file, open that in editor too, Ctrl+V. Make sure you check the first line which has the path to dmxconnect file in case you are copying action from a different path/folder. Thanks @nshkrsh. This is a convenient method in that it can be done within Wappler (although I actually prefer a different method). It’s one of quite a few features which would only save a few seconds or a few clicks, but which would be really helpful and make using Wappler less cumbersome in some respects. Eg an option to open files in split view by default would only save a second or two, but if it’s something you do over and over again, it becomes tedious. I still hit F12 quite often, expecting a browser to open. The list of requirements for shortcuts and options just keep on piling. Duplicating action file, opening in split view etc are great suggestions. And they will probably be available sooner than later. @George has promised more shortcuts coming soon. That’s correct. As George voted for the idea, I’m fairly confident the option will be added at some point . In the meantime, the ability to duplicate steps is very useful. 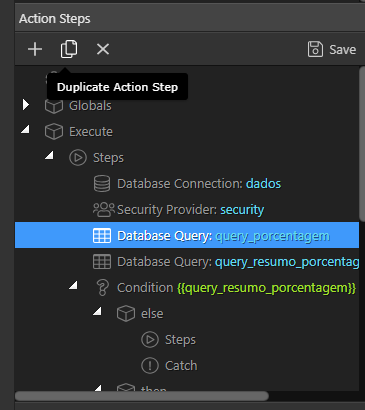 Sometimes my Action Files are similar, with only slight differences, so instead of re-writing the whole action from scratch (since we are not able to copy/paste Action steps between files) it would be a big time saver to be able to copy/duplicate an existing Action file. By the way, I know I can duplicate the .php file itself, I am just asking for a menu option so I don’t have to go into explorer and do it manually. Could this be merged with what I think is the same request - and the votes combined? yes we already got that request. Didn’t see your request. Glad to see someone else thinks this would be useful as well.